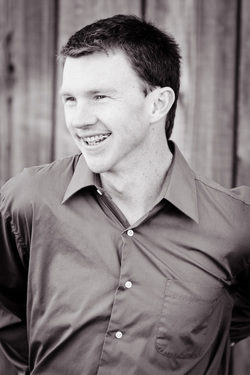 Specializing in chronic pain, digestive health, and prevention Noah has received education from Fort Lewis College, American Vedic Institute, California College of Ayurveda, and the Ashland Institute of Massage, Noah Volz, CAS, LMT is well versed in Ayurveda and massage and yoga. He performed his clinical Ayurvedic Internship at Active Life Acupuncture and Physical Therapy in Eugene, OR and now he is certified as both and Ayurvedic Lifestyle Counselor and a Clinical Ayurvedic Specialist. Noah is the founder of Rhythm of Healing, he has also worked as lead Pancha Karma Technician at Ashland Ayurveda and a Field Interns Supervisor at the California College of Ayurveda. Also a certified yoga teacher, Noah completed his yoga teacher training in 2002 with Cintra Brown in Puerto Vallarta, MX. Rehabilitation and yoga personal training are his yogic specialties. In 2007, Noah completed his comprehensive instructor training program with the Eugene School of Yoga. Since then he has been an integral part of the teacher training program at Yoga Durango where he teaches "Yoga and Ayurveda" for yoga teachers. Noah has skillfully blended his diverse array of healing practices and offers Ayurvedic massage at the Wellspring Centre for Body Balance in Ashland, OR and Namaste Health Center in Durango, CO. Furthermore, he has developed curriculum for Ayurvedic Spa training which he has taught at Waterstone Spa in Ashland, OR and continues to periodically teach at the Ashland Institute of Massage and Namaste Health Center in Durango, CO. Many community healthcare organizations have recognized Noah's dedication, knowledge, and skill. He has given more than 50 lectures to professional groups such as the Peace Health Hospital Oasis Program in Eugene, OR, and Rogue Valley Medical's Rehabilitation Center in Ashland, OR. Noah has also volunteered for the Ashland Community Hospital Planetree program. Oregon Health Living, 1859, The Durango Herald, The Daily Telegraph, Mail Tribune, and Ashland Daily Tidings have all published articles featuring Noah's expertise. Noah Volz practices Ayurveda, massage, and yoga using the Five Rhythms Wellness Metric to motivate his patients. Utilizing Ashland Ayurveda's Pancha Karma center who are in the midst of struggling with heart, diabetic, arthrtitic, and neurology problems and coaches them with simple lifestyle changes to be able to live, feel, look and be years younger. He teaches the role of food and other simple steps in reversing the disease process. Rhythm of Healing aims to elevate preventive care and wellness a a core value of health care providers.